Starting on December 21, UBC Library branches at the Vancouver and Okanagan campuses will have reduced hours leading up to the holidays. Please consult our Hours & Locations Portal before visiting. All branches will be closed from December 24, 2016 until January 2, 2017 with regular hours of operation resuming on January 3. Happy Holidays from UBC Library! 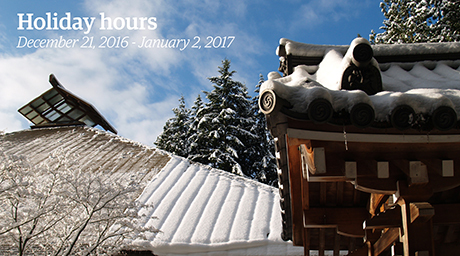 UBC Library's Irving K. Barber Learning Centre will be open 24 hours a day beginning December 6.